The Congress party has put forth their demand as per which they have asked Baba Ramdev to present a public detail of his properties and enlist the sources of income. Baba Ramdev who alleges that his yoga postures have the ability to cure the most malignant of diseases has reportedly got into a tangle with the Congress. His new venture with an intention to clean the political system has reportedly entwined him with the Congress party. Following this, the party has hence asked Ramdev to make all his sources of income public. 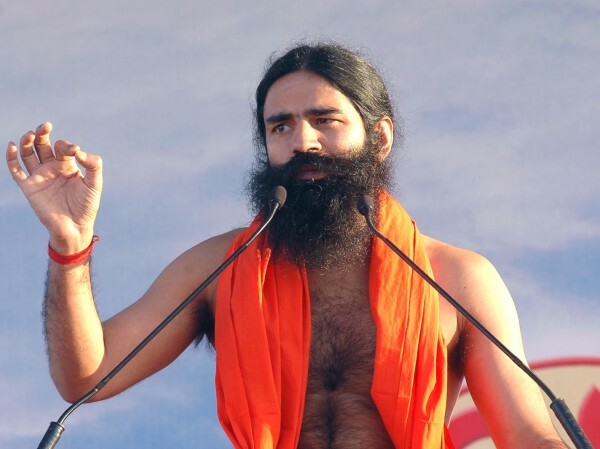 Baba Ramdev has however claimed that they have not taken even an inch form the Government. Congress General Secretary Digvijay Singh said “He must understand that we are as much against the black money as he claims to be. My only request to him is that he should be fair, he should not be partisan”. News from the Patanjali Peeth suggests that Baba Ramdev plans to convert his following into a political party. This news is however to be announced later this year. Baba Ramdev is said to be running yoga camps across the country and abroad under the aegis of his Patanjali Peeth. One such announcement which had been made by Baba Ramdev last year had got the BJP worried. He had put forth his intention of launching a political party at that time. Since Baba Ramdev has a huge fan following, the saffron outfit was very worried. Baba Ramdev is famous all over the world and abroad and targets specially the traditional urban middle class which makes his vote bank a hefty one. BJP leader Venkaih Naidu also asserts that this was merely an escape by Baba Ramdev to get rid of the black money debate. As per now, Baba Ramdev wishes to commence with his political campaign by making use of his network in the two states namely Uttar Pradesh and Uttarakhand. The two states would be holding elections early next year. Baba Ramdev’s success is however yet being doubted as politics is an entirely different subject and it requires much more than posturing and practice of the asanas. First of all take my regards,i was working for a NGO NAMED THREAD, in orissa.sir i worked for more than 1 year i saw that lots of mis-management are going on,the organisation are more than 25 years in the name of development this organisation has already looted the money which belongs to the tribal & poor sir this organisation is working with tribal,dalit & marginalized family.still after 25 years they are poor,they belong to 54 block of orissa near about 500000 members are involved they are not getting any benefits from this organisation.The main key person of this organisation has two organisation one is thread & other is Aircod he receives money in thread & divot it to Aircod.Is this not curruption.sir i have an idea in which we can help all the persons from all over India. I AM FOLLOWING MY RAJIV DIXIT SINCE 10YEAR, I GOT THE NEWS THAT HE IS NO MORE. I NEED CLARITY ON WHAT WAS HAPPENED TO OUR ROLE MODEL MR RAJIV DIXIT. I Completely Support Mr Baba’s intentions for our ill ridden sick country. Look my dear friends, ITS NOW OR NEVER. We have to deal with the issue when it is hot. We have to support people like Mr Anna Hazare and Mr Baba. Please understand “dear fellowmen” it is OUR country’s future. And it is our money that is in the Swiss havens. Dont just complain and comment on the corrupt govt. Wake up! Stand for yourself, let us make a revolution. WE, being the 2nd largest populated country in the world is at shame if we fail to have some unity in us. And the worst part about us is that no one really bothers about anything other than their family. Its a shame on us if we dont act atleast now. Long live Baba and Anna Hazare! Jaagore India….. In today’s life,no one has time to see what ‘s going on around them or in their country.all r totally busy in making money in any way….. Really it is a very shameful thing for all r Indians,facing this type of corruption all around us. Black money (1500 million),it’s too much for our country to grow,to flourish, to again become A GOLDEN BIRD.It’s my humble request to all, to observe what’s going on in their country, to participate in prblms like corruption & all….. to get rid of all these garbage. Do whatever u want but give a small punch ofn time in a day or in a week to lookafter all these things…..
JAAGO INDIA, CLEAN IT BCOZ IT’S OUR HOME……. MARRIAGE SOCIAL PLATFORMS IN INDIA. I believe that this type of allowing adults to communicate without restrictions can be acceptable to society. I suppose that my gripe is the introduction of some screening of the information provided. The verification of a telephone number is inadequate. The populace should be encouraged to participate in this process. Candidates signing up on these platforms should, at the very least, be requested to disclose information with honesty. We should not entertain a 22 year old lady responding to a 50 year groom. Is this acceptable . I don’t know. No need for Baba Ramdev in politics now. The benefits of yoga have been preached amply by Dr. Harsh Vardhan.